Historic Grapevine, Texas, centrally located between Dallas and Fort Worth, is a go-to destination when planning a vacation in Texas! Step back in time in Historic Downtown Grapevine with its collection of charming shops, restaurants, and art galleries. Enjoy fantastic hotels and resorts, great attractions for the entire family, exquisite winery tasting rooms, world-class festivals and events, shopping opportunities, outstanding dining at over 200 restaurants, a wide variety of outdoor recreational activities and more. • Arrive in Grapevine and check in one of the many local hotels. • Take a guided tour of Historic Downtown Grapevine. 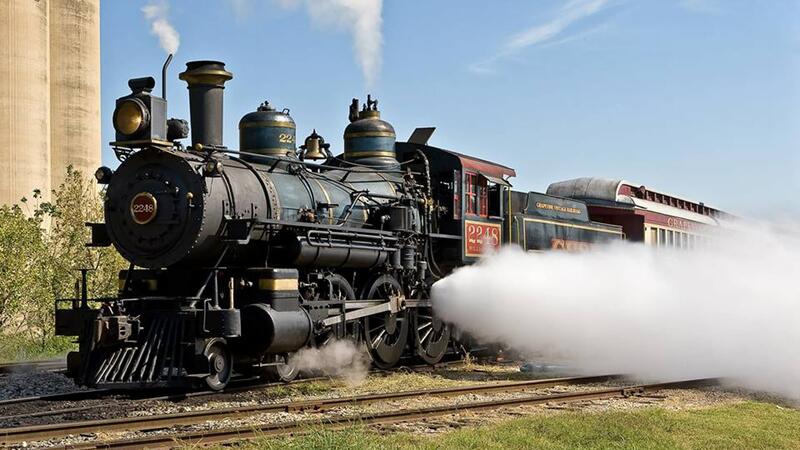 • Experience the Grapevine Glockenspiel, the only Glockenspiel in North America featuring the Would-Be Train Robbers, Nat Barrett and Willy Majors. 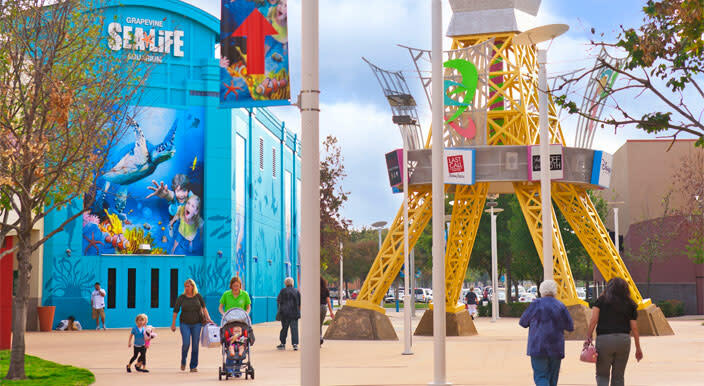 Watch an exciting interaction between larger-than-life mechanical figures as they emerge from the clock tower every day at 10 a.m., noon, 2 p.m., 4 p.m., 6 p.m. and 8 p.m.
• Grapevine has more than 200 restaurants. The Grapevine Convention & Visitors Bureau will be happy to help you find the perfect restaurant to meet your group’s needs and budget. 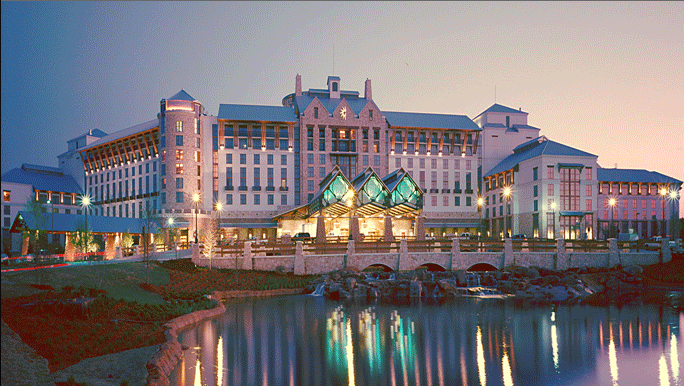 • Take time to explore the awe-inspiring Gaylord Texan Resort. Underneath the signature majestic glass atriums, you’ll find some of the most distinctive shopping, dining and recreation options. • Take a tour of the oldest operating farmstead in Tarrant County at historic Nash Farm. Here you will learn about the heritage and importance of the Grapevine Prairie and Grapevine’s pivotal role in the development of North Texas. • Explore the Settlement to City Museums as they trace the history of Grapevine from the earliest settlers to current day. • Enjoy lunch and shopping in Historic Downtown Grapevine, with more than 80 shops, galleries, boutiques, winery tasting rooms and much more. • View beautiful western art at the Great American West Gallery. Here you will see paintings and sculptures created by some of the finest Western artists in the world. • Enjoy dinner with an entertaining, Old West, comical “whodunit” show at the Texas Star Dinner Theater. • Enjoy the natural beauty and tranquil surroundings of nature with a guided tour of the Grapevine Botanical Gardens. • Dine in Grapevine’s original filling station at Willhoite’s Restaurant, complete with the original gas pump out front and a Model T Ford hanging over the Texas-sized buffet. • Witness a live cattle drive as the Fort Worth Herd makes its way through the Stockyards. • Enjoy dinner at any number of Grapevine’s group-friendly restaurants. • Finish off the evening while sipping on a glass of wine from one of Grapevine&apos;s local wine tasting rooms. 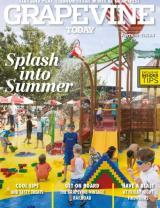 • Enjoy an early lunch at Grapevine Mills, featuring their group tour meal program. • Shop ‘til you drop at Grapevine Mills, with more than 180 stores. And located nearby is Bass Pro Shops Outdoor World! For more information, contact Tamer Attia, Leisure Sales & Promotions, Grapevine Convention & Visitors Bureau at 817.410.3164 or TAttia@GrapevineTexasUSA.com.